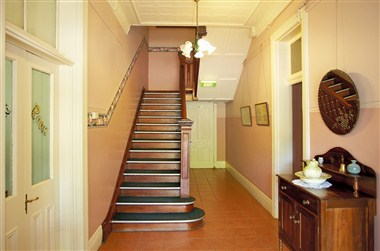 Abernethy House is located in Abernethy, Australia. It is the perfect group accommodation venue – where booking the whole house will guarantee your exclusive use and privacy in a lovely meandering garden setting. 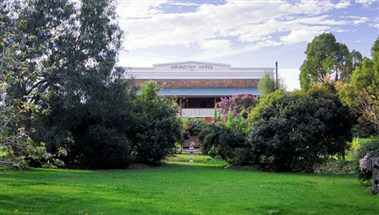 Your group will be together under one roof and enjoy the comforts of a heritage country estate. 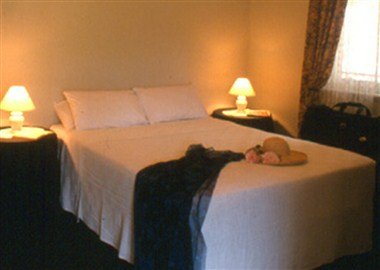 The guest house is in a small village, surrounded by national and state forest. Great for walking, but only 15 minutes from most vineyards in the Hunter Valley! 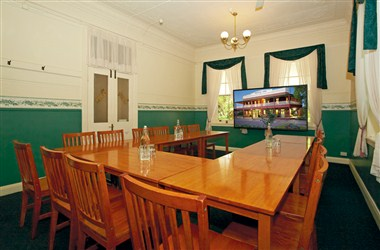 Abernethy House is a terrific and affordable venue for your next for a team event. The lounge and dining room facilities are large enough to accommodate round table discussions, power point presentations or informal meetings. There are ample areas for break out discussions and the gardens have plenty of space for team building activities. At the end of the day the beer garden is perfect for a few casual drinks in the evening. For smaller events choose from a reception in the lounge, beer garden or veranda. 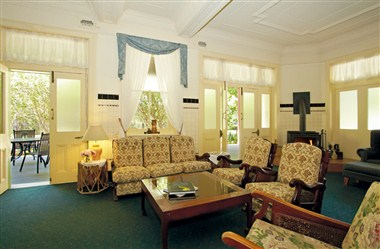 The spacious guest lounge is used for functions seating up to 30 people or accommodating up to 50 people for cocktail parties. The room is intimate and comfortable – in winter the log fires warm the room and in summer the French doors are thrown open and the scent of the gardens waft in to add to the romance of the room. For larger events the grounds can be used for marquees catering for up to 200 guests. A wedding is too big a celebration to hold over just one day. A wedding at Abernethy House can be spread over the whole weekend, enjoying your special time in relaxation, without time limits. With the guest house your own, prepare on Friday with an intimate dinner with family and friends, then after the wedding Abernethy house is the perfect place to host a recovery breakfast or lunch for an unforgettable recovery and farewell party before everyone starts to return home.